The Art of the Pour How do you brew the perfect ­coffee? »IDEALeidoscope« How does your ideal skin look like? Startup Spotlight: Decorilla Urban or Rural? »Local Studies – School Garden« section, which does not only include beautiful Easter nests as well as tips a Coffee ABC but also discusses the and ideas how young parents can new trend of pour over coffee. 100 bloggers already participate in leaves you wanting to redecorate the the monthly initiative »Urban Jungle nursery right away. Bloggers«. We wanted to know what’s For us this new edition does not only behind all that. For our own bodies consist of digital pages. For the team we have put together a Beauty Food the magazine is pretty ›physical‹, as feature with Claudia and Elisabeth. and dress that we have done up to now. necessary for the product shoots. and above all a sofa had to be there. videos, goodies and ideas – as you can see on the 2-page (!) multimedia overview on page 16.
flowering trees - as we have not been able to do so in the last few days :-). sisterMAG comes back in the beginning of June. Until then please sign up for our newsletter or like our page on Facebook to get all our updates, infos and BehindThe-Scenes! 18 Our main competitors are paint swatches. It's our job to make people realize how outdated a paper card with squares of color on it is and to help explain how ambient light affects color matching. Have you ever tried to match a paint color with one of those awful paper swatch books? We feel your pain. Nix is a smartphone accessory that you can touch to any object and instantly know the exact color of it in any paint system in the world. It's miles ahead of any smartphone app because it blocks out all ambient light and provides it's own calibrated light source. My Mom was my inspiration, she lugged around a huge tote bag of paint chips. It's the 21st century... it didn't make any sense. Why spend all that money on a bulky, outdated system that only works with one manufacturer? I started Nix as a side project at first. We expanded with a small government grant and then funded our first product on Kickstarter. We raised $70k in a little over a month which allowed us to go to production. We earn money by selling our hardware devices. Our app is free! Nix is different from existing smartphone apps in a crucial way. It has the ability of being properly calibrated. Apps use your smartphone camera which is drastically affected by ambient light. Nix blocks out all ambient light and provides its own calibrated light source. Nix also works with all manufacturers and we are adding new pigments, dyes and stains on a daily basis. Before Nix I was the electrical manager of the McMaster University Solar Car Team. We built completely solar powered cars that have raced all around the world. Our tiny budget and huge goals trained me to be an efficient inventor. Andy Li was our first real employee. He was a great summer student from McMaster University in Hamilton, Ontario, Canada. We spent a summer doing science, eating schwarma and listening to old-school rap in my apartment lab. is my great grandfather's last name and my middle name. The Nix Color Sensor is also in the shape of a diamond/crystal, I thought snow/Nix would fit with that. Weirdly enough, as a company that specializes in color we don't have any color in our logo or product. I like to keep everything black and white to not distract from the fact that Nix is a tool to be used by creative people all over the world for their own purposes. If we picked a color for our company how would I choose?! They are all too beautiful. 21 Bastoni's Schwarma basically kept the Nix team alive the few months before our Kickstarter launch. Best Schwarma in Hamilton, no doubt about it. If you have found the right coat for this spring (see our feature on page 40 ), you still have to buy the perfect sandals. We were inspired by essie's new spring collection of nailpolish colours and created a fashion spread themed #FromWhereIStand. If you click on this hashtag on Instagram you can find a lot of inspiration for shoes and interesting perspectives. On our Instagram channel @sister_mag we are also posting our #ShoeSelfies with #FromWhereIStandsisterMAG and invite you to join in! If you mention us or use our hashtag we will gladly regram you and you can even win a whole essie set (see to the right)! #FromWhereIStand What we learned: Fans of essie nailpolish tag themselves as #essienistas in their pictures. What a lovely idea! The names of essie's nail polishes gave us the inspiration for our outfits and settings! These names are taken from games, which we all know from our childhood: Truth or Dare, Hide & Go or Hunting (more infos you see on page ). When it comes to fashion and style, essie helps you with six new colours for spring and we want them all! You can win the spring collection from essie! Just make a shoe selfie of your spring-like toes and shoes and send it to us: via Instagram with the hashtag #FromWhereI足 StandsisterMAG or via mail to mail@sister-mag.com . OONA means »the unique one« – and that’s exactly what we offer! Unique bags. Bags which are specifically tailored to the customers’ tastes. Our website offers a range of shapes and models – the individual colours, fabrics, linings and metal fittings (gold or silver) are individually chosen by each customer. 2 Our own love for bags and accessories. More often than not it’s one very specific detail that makes the difference between buying and not-buying something, like whether the zip is gold or silver plated. 36 We managed to secure a great group of investors so we were able to just get going with our idea. We have created a strong brand which results in a profitable product margin. You’d be happy to buy a certain bag if you could change just one thing about it. And that’s what you can do in our shop: Change just one thing, or change many. Even more options are available on request. Our first model was called TONI, a roomy, sporty yet elegant, business holdall for anything and everything the busy woman about town might need throughout her day: a laptop, a small makeup bag, a second pair of shoes, the works. It‘s still one of our best selling items. Muted colours like grey and taupe are a must. And they go well with most outfits for most occasions, too. 37 All your standard manufacturers of handbags, of course, but also some of those who produce individualised bags. accounts, some of the biggest retail companies in Europe. Jürgen also studied Business Administration at WHU Vallendar and HHL Leipzig. He then first worked as an investment banker for companies like JP Morgan and Freitag & Co and later became the commercial affairs manager of Phorms, a private education provider. OONA is Gaelic and means »the unique one«. moments. Enjoy the pictures, which you can find on Pinterest, and the sewing patterns for download! Because of the slightly downwards pulling shoulders the coat gets a new form. In addition we made a scarf out of the same material. Two press buttons, sewn on and hidden, complete the minimalistic look. who already has big names like Orla Kiely & Uniqlo in her portfolio. For sisterMAG and the shirts of this fashion editorial she created four Âťdigital ladiesÂŤ. You can download the motifs and reproduce the shirts really easily with printable transfer sheets at home. You can find the downloads on the following pages. THE JACKET Inspired by Burberry Prorsum's Spring 2014 RTW collection, the colourful jackets are an easy accessory which can be worn over pants and skirts. CAFÉ Berlin’s Brunnenstraße develops increasingly into a promenade because of its many nice cafés and shops. The French inspired pastry shop >Du Bonheur< is a special highlight with macarons, brioches or desserts with names like »Montblanc«. Open from 8 am, Saturday & Sunday from 9 am. RTW Collection by Burberry Prorsum. Christopher Bailey focusses on handmade details. the shoulder. Easy to recreate and a great effect! BAG Colour, texture, material, handles, sides and fittings of Project OONA's bags are customizable. COAT The special detail about this coat is not just its colour – the neon green can be seen from a distance – but also the material. »Softshell« is the generic term for many functional textiles. Anyone knows the really soft and cosy but at the same time water-vapor permeable material of functional or training jackets. Consisting of two or three membrane layers, it holds warmth, but doesn’t let you feel sweaty at the same time. Because of the form and the make the coat stays elegant and chic! COATDRESS Probably the most work-intensive coat of our mini-collection: The flowers made of rhinestones and perals are hand-embroided and spread over the coat. The first step is to sew the coat (for this reason there is for example the flower, which reaches over the edges of the pocket). If you like you can use the coat as a dress as well â&#x20AC;&#x201C; itâ&#x20AC;&#x2122;s surely smart enough! LOCATION The elegant outfit calls for an adequate location – we caught Angela windowshopping at Quartier 206 on Berlin's Friedrichstraße. The pink coat is the perfect accessory! CAFÉ ELBSPEICHER Angela's and our day ended with a delicious glass of Hugo in the café Elbspeicher in Prenzlauer Berg. You can sit outside and pass the day in review. And we were lucky enough to catch the time when they made fresh waffles outside! foam, the crema, which contains lots of flavours. Espresso is both a coffee beverage and a brewing method. It’s not a specific bean, bean blend, or roast level. It’s also the base for many other coffees such as latte, cappuccino, macchiato and americano. There are three different ways to make a ristretto. Have you ever been standing in the coffee shops, thinking that you might try something new? But there are so many different kind of coffees to choose from. What’s the difference? And what if it’s too strong? And in the end you just order the same latte, as you use to order every day. If that ever happened, this is the perfect coffee guide for you. We will explain the differences between the 12 most common coffees. So next time you order a coffee, you might be confident enough to try something new. Lungo is Italian for »long«. A lungo is a single or double espresso but with twice as much water. First an espresso is made, then when the extraction is finished one immediately starts a new extraction through the same filter. A lungo is simply a long and weak espresso. sometimes a misunderstanding that café au lait is the same as a latte. Café au lait also means »coffee with milk« but in French and it’s regular black coffee with hot milk. The basis for a CafĂŠ au Lait is filter coffee. re’s espresso in the milk. ato is weaker than a latte. served as single or double. »Gibraltar« in the United States. A cortado is a perfect alternative for people who like a milky coffee but a little stronger than a latte or a cappuccino. steamed milk, poured into two double espressos (4 single shots). The proportions are 4/5 espresso and 1/5 steamed milk. A well made Latte will leave you with a smile even on a cloudy day!. bed as a posh filter coffee. cuppa joe as acidic, strong, bitter and, at times, smooth—but after tasting a freshly made pour-over coffee, my mouth was overcome with flavours of apricots, peaches and bergamot. I feel there’s a clear winner here. I’ve tasted coffee in its purest form, and now there’s no turning back. Bentz invented the paper coffee filter. She recognized that cups of coffee were often littered with grounds, and felt that cleaning linen filter bags after every use was nothing short of a hassle. try it at home: 1. Purchase a bag of freshly roasted, single-origin beans from your favourite cafe. le, grinder (hand-cranked recommended), filter paper, mug, and choice of drip method (V60, Kone, Chemex, Bee House or Kalita Wave). holds 300 ml). The consistency should be close to coarse sea salt. 4. Set the paper filter inside the dripper and place it over the mug. Rinse the filter with hot water to remove the flavour of paper, eliminate starch, and preheat your mug. Dump that water. 5. Add your ground beans, levelling them out, and pour a bit of not-quite-boiling filtered water (roughly 92째 C to 96째 C) over top to allow the coffee to bloom for about 30 seconds. 6. Continue pouring the hot water in slow, counter-clockwise movements until you reach the top of the brewer. This should take between 2 to 3 minutes. nothing between you and your beans. release of aromas and flavours. The result is bright, not bitter. everything from roasting to brewing. extra time and effort makes. Christian works at the small pack station just behind the roaster. Two hundred years ago this were the stables for the cavalry. file. At Da Matteo they don’t use the expressions of dark, medium or light roasting. When the coffee tastes good, then it’s ready. Christian Gullbrandsson weights up a batch of raw beans for todayâ&#x20AC;&#x2122;s roasting. beans ready to grind. Then a hose is connected to the scale and the beans are vacuumed up into the hopper on top of the roaster. When the roaster reaches the right temperature the beans are realised into the drum. The beans are roasted for about 9-15 minutes, depending on the size of the beans and the present roast profile. During the roasting the beans lose moisture and change size. The fibres in the beans break open and expand, producing a reaction almost like a popping popcorn. The beans also change colour from greyish green to the characteristic warm brown colour. This page: The bags with coffee beans are being sealed. Right: Christian Gullbrandsson the roast master at Da Matteo and his Loring roaster. ting process while having a coffee. How to roast coffee beans at home 1. Preheat the oven to 250 C° (482 F°) 2. Roast 50 g beans on a tray in the middle of the oven for 5-8 minutes. 3. Stir frequently. 4. When all the beans are popped, it’s time to take the tray out of the oven. 5. Let the beans cool properly on another tray for several hours. 6. Keep the beans in a tight container up till 2 weeks. Berlin’s Leading Food Lady From lawyer to supper club chef and food expert extraordinaire, Berliner Cathrin Brandes is constantly bringing a new perspective to the capital’s food scene and writes about it on her blog: www.berlintidbits. wordpress.com . and leaves to turn into lunch. wild garlic she has been gathering in Berlin’s Brandenburg woods recently. As spring approaches, she’ll begin to search for red currants, to use in jams or infused liquors, as well as a variety of edible flowers and leaves, including a fragrant flower which Brandes turns into a natural vanilla. meals that are drawn out for hours. as a freelance culinary consultant. as a lawyer for a reunification agency. restaurants; and does food styling and writing for publisher Le Schicken. But as intertwined as her life is in the world of food, she surprisingly didn’t start out following a career path towards the kitchen. would only be happy working with food. Annie Lennox, and Prince Charles. boost to start a full-time catering firm. or a dish for a Speisenklub dinner. than her first career ever could. cocktails and bar food in Berlin. next exciting project comes along. events and workshops this spring. sandwich is an integral part of the menu or hand-painted slate of any bistro. Daniela Becker of the blog »Flowers On My Plate« therefore developed four recipes for the sisterMAG Bistro, that puts the best ingredients between two bread halves. They are, by the way, the perfect companion for a picnic in the garden or a spring trip to the countryside! Roast the pumpkins seeds without oil in a pan until they turn light brown. Drain the tomatoes collecting the oil in a bowl. Blend tomatoes, parsley, garlic, pumpkin seeds and rosemary (best done using a handheld blender) adding small amounts of tomato oil or water to thin the mixture. Add salt and pepper to taste. Then first use a knife to make a lengthwise incision, then use a spoon to remove the flesh from the peel. Spread a generous dollop of pesto on each of the bread slices, then divide the avocado between two of the slices, top it with cress, pepper and several drops of lemon juice. Crumble some feta cheese on top. Finally put one of the remaining pestoed slices on top of each sandwich, respectively. Any leftover pesto will keep in the fridge for several days and/or make a great pasta topping. using a food processor or a knife. Peel the onion and the garlic, chop oil. Add the chopped chestnuts and continue softening for 3 to 4 minutes, then remove the mixture from the pan and let it cool slightly. Wash, if necessary peel, the parsnip or carrot, grate coarsely and add to the chestnut mix. Also add lemon peel, ricotta cheese and egg. The ricotta cheese will need some salt, also add pepper to taste. into thin strips, combine with goat’s pepper to taste. Peel the eggs and cut them into quarters. Wash the rocket and spin dry it thoroughly. Wash the carrots, peel if necessary, and shave them into fine stripes using a potato peeler. Wash, and then finely slice the radishes. Cut the baguette(s) in half lengthwise and top one half in the following order: Goat’s cheese, carrot strips, rocket, radishes then eggs and cress. Add a little salt and pepper, top it with the other half of the baguette and enjoy. down completely. Blend and smoothen mascarpone, icing sugar and vanilla. Carefully fold in the cooled rhubarb sauce to make a pinkand-white pattern. Spread the rhubarb mascarpone crĂ¨me on one shortbread and top with another, respectively. Loving care – not only flowers and flower beds have to be whipped into shape in spring. A long winter, dry heating air and gloves stressed our hands and feet. But a professional manicure or pedicure is a luxury only a very few can afford. In the last issue we already were justified to discover the whole colour circle of the essice collection. For our spring issue, essie shows us how you can do professional nail care at home – in 1, 2, 3, 4 … steps! We put together the steps and bottles with self-made floral wreaths by floral and event designer Hürriyet Bulan, who also designed the flower decorations on the ­sisterMAG-cover. How you can combine the new colours fashionably, you can see in our #FromWhereIStand editorial from page 22. The right care is the requirement for perfect-looking, healthy und beautiful nails. With protective, strengthening and structuring care, speciality products and products for the cuticles, all nails of hands and feet are perfectly prepared and cared for intensivly. The apricot oil gets really deep into the cuticle to make it smooth and soft, refreshed and revitalized. Cuticle Oil is a nourishing product for nail care. Preferably you put it on the cuticles with a brush, a cotton ball or bud. The cuticles are the thin, lightly rough parts of the skin at the end of finger or toe nails. t s n i a g a s t c e t o r P rf action! Millionails â&#x20AC;Ś that's the name of the regeneration care from essie. It contains strenghthening iron â&#x20AC;&#x201C; the ingredient makes the nail stronger and ensures a protective fibre shield and noticably more nourished nails. For smooth, younger-looking hands. Fortified with nutra-keratin and bamboo extract, this base coat helps fill in ridges and conceal imperfections: for an extra-smooth finish, follow with ridge filling base coat. In step 2 the nails are prepared for the following manicure or pedicure by protecting, strenghthening and reconstructive base coats - and it also has a care effect. Step 2 – The suitable base coat The right base coat can prevent ridges on the nail plate. Especially for darker nail polishes, base coats can work as a »buffer« so that the colour can be removed more easily later. The best thing for thin or brittle nails is the so-called filler to even out imperfections on the nails. Gently tinted base coats can balance out the unaesthetic yellowness, that some nails have so fingernails and toenails can appear brighter. This spring, surprising combinations could be seen on the catwalks! Pastel colours with new intensity and large-format prints created an unusual touch and appeared really fresh und strong. Essie's Spring Collection was inspired by this easyness and is dedicated to all women worldwide, who have the courage to play both in life and in fashion. For this reason there are names like romper room or hide & go chic. COLOUR FOLLOWS FORM. Wide nails shouldn't be fully varnished. Instead it is advisable to leave a small edge on the left and the right side of the nail. That brings out a more slimmer effect and appears more elegant. With small nails it works conversely: They have to be fully varnished. Use primarily lighter shades, because darker tones make the nails smaller. Round-cut nails appeal most naturally, if the curve fits to the form of the nail moon. The nail moon is the half-moon-shaped part of the nail that borders on the cuticle. Rapidly drying top coat seals the nail polish in seconds â&#x20AC;&#x201C; for a protecting and shining finish. Protects the nails against chipping, peeling off and fading. polish with shining finish helps to strenghthen the nails and protects for a long time against chipping. living near Paris, always had a knack for growing and repotting shoots. So when the two were brainstorming about a collaborative blog series in late summer 2013, their shared interest in greenery seemed the obvious choice to go with. visually with house plants,« Igor says. the monthly series on their own blog. Filling the gap Although Judith and Igor never intentionally planned starting the urban jungle community, they are thrilled it developed into one. »The Urban Jungle Bloggers initiative fills an online gap that was lacking in the blogosphere. and homemade trend,« adds Judith. Is the house plant trend much different from its hay days in the 1970s? Choose plants you like aesthetically and just have fun with it«. and seeds from my travels and try to grow them in my greenhouse. Last year I tried to grow fig trees. Although it’ll take years, I like to experiment and see how far I’ll come. It takes time and you learn by trying. There is nothing more rewarding than a plant that thrives. On top of that, plants are natural air purifiers and promote a healthy home«. lesser extents in my design work. to garden and landscape design. try to make sure the garden design does not clash and I take elements of the interior through to the garden. of the schemes. It’s my favourite bit. I am an independent garden designer. specialists, garden building specialists depending on the project. a couple of years to complete. t d e n g i s e d s a w T h i s g a rd e n me in o h l u f i t u a e b a compliment W est London. contemporary) and it really depends on my client’s wishes but I think most people would put me in the contemporary garden design category. I like finding practical yet clever design solutions and making virtue’s of things that may at first seem to be a disadvantage. If I were to design my own garden, it would be contemporary beautiful. It would push the boundaries of garden design. It would have strong shapes and surprising elements that made you smile. Above all, it would create a feeling of happiness to be in it. This garden was Anoushka's design for the 2012 Hampton Court Palace Flower Show. to be confident, highly organized, What is the best preparation for being a garden designer, do you have any advice for people who would like to pursue that career? flowers usually in large swathes. A small pati o i n Ly f o r d R o ad, London. 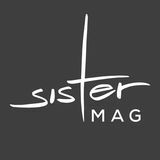 You like sisterMAG and want to support us? Share our issue and spread the love! readers will remember from issue N°3), putting a little more thought into it, has come up with four exclusive new recipes especially for us. They perfectly highlight the versatility of this special grain the Inca gave to the world. Enjoy our meals and ideas! Quinoa is related to spinach and mangelwurzel, so itâ&#x20AC;&#x2122;s not strictly speaking a cereal and hence does not contain any gluten. So if you want to bake using quinoa make sure you also mix some spelt, wheat or rye flour into the dough. Quinoa is one of the oldest crops around and has been known as a staple to South Americans for more than 6,000 years. To avoid a bitter taste and also get rid of any contaminants or saponine the grains should be rinsed using warm water several times. An astounding fact: Even a onesided diet plan, consisting only/ mainly of quinoa could give your body all the vital aminoacidaemia. This is why quinoa is known to be a staple food in the fight against hunger. Quinoa is known to be very healthy. It contains 21% protein plus many other important nutrients such as lysine, magnesium, potassium, calcium and iron beating the nutritious properties of wheat, rice and oats hands down. Quinoa plants are very resistant, frost and drought tolerant and thrive in Andean altitudes up to 4,300 meters. Especially for patients with migraines, the high value of minerals in quinoa is great. Magnesium helps to relax your arteries, thus helps to prevent headaches. Rinse quinoa in warm water and bring to the boil in 500ml of salted water. Boil at medium temperature for 15 minutes until the quinoa has absorbed the water. Set aside and let it cool and soak. Mix all ingredients with olive oil and lemon juice, add salt and pepper to taste. Drain the beans. Cut the tomatoes, spring onions and chilli into fine strips. Rinse the herbs, pad them dry and chop them. FLOWER BED Rinse quinoa in warm water and bring to the boil in 500ml of salted water. Boil at medium temperature for 15 minutes until the quinoa has absorbed the water. Switch off the stove and let the quinoa cool and absorb some more water for 10 minutes. Then marinate in orange juice, orange peel, star aniseed and olive oil. Add salt and pepper to taste. Dice the beetroot and blend with the remaining ingredients to create a smooth paste. Add salt and pepper to taste. Squash the avocado with a fork and sprinkle with some lemon juice. Grate the carrots. Slightly warm the tortilla flatbreads in a pan. Spread avocado and beetroot paste on each of them then add 1 to 2 table spoons of quinoa. Top with carrots and Indian lettuce. Roll up the flatbread and wrap in cling film or sandwich paper. Tie together using a thread and cut in half at an angle. Rinse quinoa in warm water and bring to the boil in 500ml of salted water. Boil at medium temperature for 15 minutes until the quinoa has absorbed the water. Set aside and let it cool and soak. Use a blender to combine dates, coco oil and tahini in a smooth paste. Then add the remaining ingredients one by one to create a sticky doughy mass. Roll out the dough between two sheets of cling film and let it set in the fridge for 30 minutes. Cut into bars and sprinkle with cocoa powder or pollen. Store in a tin in the fridge. is why Food Stylist Claudia Gödke and illustrator Elisabeth Weber have taken a deeper look into the grocery cart: What is good for me and helps my beauty? Whether it is for your hair, eyes or skin: many delicious foods help to regenerate or add to your cellular structure. We are especially proud that this feature brings together two artists in their own fields who didn't know each other beforehand. After an idea of Elisabeth, this feature came together in many mails, Pinterest pins and the usage of other cloud services between Berlin and Nuremberg! Now we hope that we'll all meet each other soon in person and until then we will enjoy their beautiful spreads â&#x20AC;&#x201C; which you can download as wallpaper for your desktop or device at home. t lps you f betacarotin. It also helps healthy skin. is a liposoluble vitamin, which st in combination with curd m cheese! LEGUMINOUS PLANTS Lentils, peas or beans: These foods help you to prevent inflammation of the skin. They also help regenerating your body cells with their high value of protein, zinc and magnesium. Furthermore you can work against bad skin and hairloss because of vitamin B3 and B5. Its value of cupric sees to a more regular metabolism. protein and many vitamins and minerals in cashew nuts help to prevent heart and vascular diseases, strengthen your immune and nervous systems and enhance your brain performance. Calories: 592 kcal per 100 grams. of the most fatty kinds of nuts with 666 kcal per 100 grams. MACADAMIA The Âťking of nutsÂŤ is full of unsaturated fats, which is good for heart and your arterial system. They also have the highest value of proteine of all nuts. At the same time they are also high in calories: 705 kcal per 100 grams. whether I have to go up against it with a serum or tonic (I do not even know the actual difference between those products). the furniture store around the corner or its universally popular Swedish competitor – is all scuffed and worn. It’s high time you got a new one. Not so long ago you wouldn’t have thought twice about it, made your way straight to the nearest furniture store, sat on a couple sofas and then bought the one you liked best. But nowadays a trip to the furniture store is nowhere near as obvious a solution as it used to be. Interior shops, i.e. online shops specialising in furniture and soft furnishings are becoming increasingly popular. So what’s the advantage, for you as well as the shop owner, in using these new and emerging services? How do you separate the wheat from the chaff? The following feature, introducing a variety of different interior shops will answer these questions showcasing westwing.de, roadswelltraveled.com, lokaldesign.de, delife. de, fashionforhome.de and bolia.com. The obvious question is in how far this and the designer (or manufacturer) way of online shopping is superior to much more efficiently than a brick-andits brick-and-mortar alternative. After mortar-seller would be able to which all you can’t test drive (or even sit) on a is especially beneficiary for customers sofa online. who live in the country. Interior shops Interior shops basically work in exactly are also able to offer a whole host of the same way as any other online store. special items for which there is just no Since the advent of web 2.0 the traditional room in a traditional store. For example buyer-seller-relationship has changed. Roadswelltraveled.com specialises in Today’s customers expect quick as objects from all over the world providing well as flexible shopping options a treasure trove of interior design from independent of business hours. items bought online sooner than you think. Do you have any stores? If so why? No, Westwing is just an online retailer. Every day we have new sales offering everything you need to make yourself a beautiful and lovely home – from candle holders to box spring beds; from the trendy industrial style to the English country house style. Is there any furniture you wouldn’t buy online? We don’t really have a favourite item. Having such a wide range of unique products doesn’t make it easy to pick one as favourite. What are the current trends and your best sellers? Do they differ? Current trends for the upcoming summer definitely are »Nordic Living«. The Scandinavian influence is finding its way into our homes. Washed-out colours, used for example as wall paint, are another trend. Moreover, metal objects and mirrors (Sunburst Mirror) are also very popular this summer. Co-founders and Managing Directors What is your philosophy behind the shop? meaningful décor and art through our carefully curated website www. roadswelltraveled.com. the world in the future. Royal miniature paintings from India. is a homage to him. ceramics from Nicaragua captivating - very contemporary despite being an ancient art form! What are the current trends and your best sellers? Do they differ? local production is highly important. in order to encourage and support young designers plus to bring the most extraordinary products right into your home. sort of like every single one of them. Yes, basically all furniture I have never seen before. Everyone knows classic furniture. But I want to touch, smell and sit on furniture that is completely new to me. Do you have any stores? If so, why? the store. Our customers want to see the furniture for themselves before buying it. And since we don’t have a label yet, we want to maintain our close customer ties. Therefore, we have pretty long opening-hours, a terrific customer service and great events where our customers get the chance to meet our designers in person. Do you have any favourite items? neon colours by Panama Prints. combined with 35 shops in Scandinavia. from us, can only be bought in Bolia. Do you have any favourite items? favourite Bolia design on sale. and tricks. And if you cannot decide between all the beautiful offerings, Fashion For Home design experts are happy to help: Online, by phone, in our showrooms, or at home. Design trends in uncompromising quality and inspired living go hand in hand. Describe briefly your selection of products. order free fabric and leather samples. steel and white high-gloss veneer. striking a balance of design and sustainability is not so difficult. customers the latest trends in the furniture industry. We have a set of articles always in stock, so that they can be as fast as possible at the customerâ&#x20AC;&#x2122;s home. Describe briefly your selection of products. furnishing, from small home accessories (sculptures, murals, etc.) to side tables or sofas. possible to try out a sofa or chair. items are found for sure. Do you have any stores? If so why? No, we have no shop. However, we have a showroom, in which a variety of our pieces is on display, so you can convince yourself on-site of the quality of our products. the right interior designer. Agnieszka recognized that a crowdsourced solution delivering visual design proposals for customers to select from could have helped her. The seed was planted and the Decorilla concept emerged. The elements that make up Decorillaâ&#x20AC;&#x2122;s unique package include: 3D renderings of your new room, shopping list with links, exclusive discounts from popular dĂŠcor brands, paint color palette, floorplan and furniture placement, tips and implementation guide, 30 day follow-up assistance and 100% money back guarantee. We’ve decided to focus on traction before focusing on raising capital so the company is really built from our sweat equity. We’re lucky to have such an amazing team with a diverse skillset. We earn our money from taking 20% of the design fee for being a market maker and various amounts (depending on the vendor) from furniture commission. clients regardless of which suppliers offers them (the designers) the largest incentives. that are not photo realistic and do not give customers a true sense of what their space will look like. the future people will automatically look to crowdsourcing to source their providers. Not just as a means to get the best deals and save money, but also as a means to find the right person who best fits their specific needs. guides a customer all the way through to the pieces they need to purchase and the paint colors they need to use on their walls. Not only this, at Decorilla all designers are thoroughly vetted to ensure the highest quality designs are delivered. he’s a start-up enthusiast at heart. Along with most of us, he wears many hats, but focuses primarily on in-bound marketing and advertising. maximizing the contrast between our colors, the grid that makes up our D logo is still recognizable in a grey/whitescale. This allows us to retain brand identity across many different spectrums. Well, there were several times on a video call when I’d see members of the team munching on potato chips. Personally, I would get into a bag of chocolatecovered almonds and really do some damage. Bergisch district in western Germany. VICTORIA KAU interviews for ­sisterMAG the blog authors of STADT, LAND, MAMA . an old farm that my parents own. don't even Thanks to this, we have strong have a café. and nature during weekends, too. is very important to me as a mother. interested in construction sites and there are a lot of them in Berlin, obviously. He also looks out of the window every morning when they come to collect the garbage. And when an excavator drives down the street, he instantly hears it. care. I can walk there every morning. bicycle and the large sand digger. Caro has already initiated several petitions: Against candy at the checkout counters in supermarkets and against preservatives in baby care products. care alone twice a day is 27 miles. running aroundâ&#x20AC;&#x201D;including the dead mouse that our cat regularly brings home in the morning. We have a large house full of nooks and crannies, a perfect playground to get lost or play hide and seek. I also love our large table that can easily sit 20 people. Lisa's relict from the big city life: She always carries around a coffee cupâ&#x20AC;&#x201D;her own coffee to go, in a porcelain cup. L But being a little proactive is great. first-hand experiences of that here. L I'm just going to trust in my kids. And I hope he won't smoke pot. And doesn't steal away all the time, because we have a second exit on the upper floor of our apartment. can say for sure is that the atmosphere at parties is a lot more fun here than in the city. before the start of a pregnancy! To bring some order into the chaos of folate-rich foods, we have compiled tips and great ideas for your kitchen together with stylist Clara Moring. The generic term folate stands for a water B that occurs naturally in food. 196 Folate and Folic Acid before or during pregnancy, we suddenly come into contact with these concepts and materials, which we have never heard of. So, therefore, before we show you on the next page a food pyramid that explains the dailyrecommended amount of foods, we have put together a short and sweet explanation, why a folate-rich diet is important and what the difference between the chemically sounding terms is. Folic acid is the synthetic form of the B vitamin folate that is not naturally found in food. It is used for therapeutic purposes and for the supplementation and enrichment of food. Folic acid is more heat and light stable compared to natural folate. Broccoli and peas are especially folate-rich. additional 800Âľg of folate or folic acid to reduce the risk of neural tube defects. The increased folic acid intake should preferably begin four weeks prior to the pregnancy and be maintained during the first trimester. The food pyramid helps in checking your daily eating habits. For an optimal supply of nutrients, the food pyramid is divided into different food groups. Each group has its own symbol and the circles indicate how much of it should be eaten per day. The ment for the portion size is a hand, e.g. a handful of noodles. SOURCES : Pyramid a ccording t o aid food p yramid All symbo ls by The Noun P 足 roject . Sources fo r individua l symbols h ere . To make it even easier for you, you can simply print out the food pyramid and cross out the daily servings. 1 portion of sweets or 1 snack (ca.200kcal) e.g. 1 Corny bar. 1 portion of fish or meat or 1 egg/day. 150g is a good portion size. Per week, two servings of meat and one serving of a meat product such as meatball or sausages and 2-3 eggs are enough. Two portions of sea fish/week, once oily fish (e.g. salmon, mackerel) are ideal. 4 (+1) portions of whole grain products from all-grain varieties, such as 1 slice of bread, 1 roll, app. 40g cornflakes, 2 handfuls of cooked rice or pasta or 3 small potatoes. (CM) (CM) Food cravings? During pregnancy different hormones are formed. Thus, more insulin is produced, causing the blood sugar level to drop. The result are unexpected food cravings. High sugar foods raise blood sugar quickly but only temporarily saturate. If you want to counteract, you should turn to fruit, vegetables or whole grains if hungry. A loaf of whole grain bread in the storage box is also definitely recommended! Folate occurs naturally in foods (such as spinach, broccoli, lettuce). To ensure during pregnancy the recommended additional intake of 400 micrograms of folic acid through diet, you would have to eat 17 oranges a day or 1.4 kg spinach. Folic acid is produced synthetically and is therefore not present in foods. Folic acid must be converted into a bioactive (effective) form by the body through several steps. Not every woman can fully process folic acid. Food folate is already present in the bioactive form and does not need to be converted. have researched and found beautiful rooms in the U.S., in Norway, but also in Germany and Australia with ideas for easy implementation at home. For further inspiration see our Pinterest board »Nursery Ideas« , on which you can jo us pinning. Favour ite Piece I love the paper mache animal heads – they are unique and when grouped together, really add to the nursery's design. Exper t Tips for ­P arents There are so many resources available today to young families when decorating. Starting with a great rug can really pull the room together. Take colors from the rug and use throughout your design—from walls, to accessories. You also can try to use what you already have and/or re-purpose it to make it special. This could be art, a mirror, blanket, etc. W hat was impor tant for you when designing the nurser y? I wanted a modern, graphic nursery for the new baby boy. I loved the black and white animal theme we incorporated because it was child-like, yet not too »sweet«. The room can easily transition into a toddler’s room. Favour ite Piece The old blue stroller. Does the st yle of the nurser y ref lect your own st yle? As far as possible yes. Everything is characterized by the Scandinavian design style. The Acapulco chair, very comfortable to breastfeed, I just love it! W hat was impor tant for you when designing the nurser y? It was important for me to make sure I can make the best use of space in the small room I had. Favour ite product The antique crib. I hope, she won't grow out of it too quickly. How old is your child? Honestly: 35 weeks if you are correct. She will be born on 7th May. On my blog I will only use the translation of her name: "Waldmรถwe" (forest's mouette). W hat was especially impor tant when putting together the nurser y? I only used natural materials and it was very important to me that all the colours work together in harmony. Furthermore it is really important that the furniture is not from big warehouses. Did you put together the nurser y yourself or did you work with an exper t? The whole furniture is put together by myself and parts of it is even made by me, crafted or restored. Favour ite Piece The grey striped rug from Crate&Barrel â&#x20AC;&#x201C; classic and modern! Mini Interview with Mom: AMANDA MOORE Did you decorate the nurser y yourself? I decorated the nursery myself. W hat was impor tant for you when designing the nurser y? Practicality was at the forefront - this is my second baby so I knew what I needed, what I didn't, etc. good examples of this was dimmable lights for feeding in the night, changing table with easy access creams/wipes/antibacterial hand cream, comfy feeding chair, rug to cover new carpet from inevitable baby accidents! The list could go on!!! Freddie is an old soul. For the most part, he is super chilled and a really happy baby. This space is really calm and totally reflects his nature. Does the st yle of the nurser y ref lect your own st yle? The nursery reflects my current colour and styling vibe - modern but somehow classic at the same time, simple but not boring. I love greys at the moment - in the house and also in clothing! we have put together the following tips and tricks to help, support and inspire you. Like in many cases it is a good idea to write a check list first to see how much money you have available. Also, check what furniture you might already have and what could be used for the nursery as well and how much time you have for each individual step. The best thing to do is to start from the outside to the inside of the nursery or in other words, from the walls, floor and ceiling to the little accessories on the dresser. ~ Blue or Pink? ~ Blue and pink? Whether it is a girl or boy, the colour of the walls no longer has to match the baby's gender, if that ever was the case. The important thing is that the wall paint does not contain any substances that might be harmful to babies and that you put it on the walls early on for it to dry and evaporate sufficiently. Light colours and pastel shades create a friendly atmosphere and can be complemented with pictures, wall stickers or even with other colours. Large pictures and wall decorations easily draw the baby's attention and can distract them while you change them. What is the difference between Laminate and Parquet? Laminate is a floor covering made oâ&#x20AC;&#x2039;â&#x20AC;&#x2039; f several layers, often with wooden decor, but much easier to clean. The lowest layer is impregnated against moisture, the middle is made of wood materials, the top layer can be decorated differently. Parquet is real wood floor. It can be sanded, but not simply renewed. A general distinction is between multilayer and solid parquet. The latter consists of a solid layer of wood. After sanding the hardwood floor it is sealed with oil, varnish or wax. Multi-layer parquet consists of a top layer of solid wood, while its lower layers are also from non-timber. Parquet should only be wiped slightly damp with special wood cleaners. has the right height, all other aspects are of minor importance and can be chosen freely. For smaller nurseries, we recommend a combination of changer and crib, so that it does not seem overloaded and leaves enough room for decorations and to move around. The changing table should not be placed too close to the window to protect the very sensitive eyes of the baby. The most important accessory besides the changing table is the radiant heater that touches the soft baby skin with the necessary warmth while changing the diaper. Zone lighting like table and floor lamps are a good alternative to pendant lamps or ceiling spotlights that might shine too bright during the night. nights and long hours. Wing chairs especially are perfect for nursing during the night and cuddling with the little one. You can easily rest your head on one of the sides and this way comfortably get through short nights. covers are usually not only washable but also easy to rid of stains. Whereas untreated wood has the most beautiful grain and character, you can quickly treat and remove scratches and liquids from coated surfaces. But you should definitely pay attention to the feeling of coziness and your own living style too. As long as you feel comfortable, this feeling is also conveyed to your baby. The last steps are the finishing touches, adding a personal note to the room. Blankies, vintage toys from your own childhood days and harmonious colour accents with picture frames and other accessories turn the nursery into a feel-good area for both, the little ones and the parents. 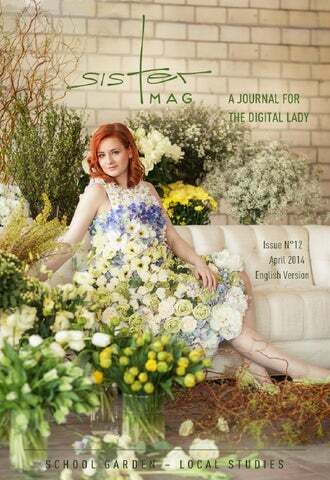 The sisterMAG spring issue would of course be incomplete, if we wouldn't have acknowledged the »Easter« theme: Sara Heinen of the Food Blog »Love nonpareil« interpreted for us the four letters of the little word NEST. The result are 10 recipes and DIY instructions, which we have fallen in love with immediately ... fortunately there are still a few days left before Easter! A naturally colourful Easter: Pancakes topped with raspberry-buttermilk-sauce, a flower nest busting with raspberry colours and Easter eggs that look like they just fell out of their nest. Defrost the raspberries and set some of them aside for decoration. Melt the margarine and let it cool down a bit. Take 125ml of the buttermilk and blend with the margarine and the beaten egg. Combine flour, baking soda, salt and pepper and blend with the egg mix. Melt some margarine in a pan and fry the pancakes using 1 to 2 table spoons of dough per pancake. Turn once. Continue until all the dough has been fried. Mix the raspberries and remaining buttermilk using a handheld blender. If you donâ&#x20AC;&#x2122;t like seeds in your sauce make sure to strain the paste through a sieve. Stack the pancakes on two plates, pour sauce over each stack and top with whole raspberries. Boil the desired amount of white eggs and colour them all light blue using dilutable egg colour in a low concentration. Depending on the kind of colour you might have to add some vinegar, make sure you check the instructions. To create a sprinkle effect water the solventfree paint down to a low viscosity then put the old toothbrush into the colour and, holding it close to the egg, run your fingers along the bristles. It’s best to cover a generous amount of your working surface with newspaper before using the toothbrush. Anything’s edible here: It’s not just the crunchy eggs waiting to pamper the taste buds; your guests will even go for the nests. Heat the oven to 180째C (356째F). Cut the baguette into slices, each 1.5cm in width. Peel and cut the garlic clove. Rub the slices of bread with garlic. Sprinkle a few drops of olive oil on each slice. Put the bread on a baking tray and bake it in the oven for 10 minutes to make it crispy. Roast the walnuts in a coated pan until you can smell their lovely aroma starting to spread. In the meantime drain the artichokes making sure you squeeze the hearts properly. Wash and thoroughly dry the parsley then pluck the leaves off the stems. Cut a 0.5cm slice off the garlic clove and blend it with the artichokes, parsley and walnuts in a food processor. Keep adding small amounts of olive oil until the mixture has reached a spreadable texture. Add salt and pepper to taste and spread onto the warm slices of bread. Top with parsley and serve immediately. To make the apricot sauce, simply drain the apricots from the glass and purĂŠe them using a handheld blender. Since canned apricots are usually sweetened the sauce does not need any extra sugar. A classical Easter with a fresh twist: A chalkboard egg for each guest plus yellow daffodils and sweet apricots brioche. Put the polystyrene eggs on skewers to make them easier to paint. Wooden eggs will of course need a hole for this trick to work. Apply one or two coats of chalkboard paint letting the eggs dry thoroughly after each coat. Draw, colour or write on the dried eggs using chalk. They make great place cards sat on a bed of fresh Easter grass in an eggcup. This works best with polystyrene eggs as they will sit nicely on their bed of grass due to their light weight. Let the grains of wheat soak in water overnight. Next day, line the desired container with cotton wool and soak it with water. Spread the grains of wheat on the wool and make sure to keep it moist over the next few days. It will be 2 to 3 days until the grains bud and another 5 to 6 for the sprouts to reach a height suitable for Easter grass. If you’ve left it too late you could buy cat’s tail grass from a pet store which looks similar. customers choose the kind of cake they want and design the packaging themselves. If they want they can also enter a message that we then attach in a handwritten folded letter. 254 Through the sales of Tarte Novelle. I hope to be able to expand our product portfolio and open a shop with a café in addition to the online shop. I have been writing down quotes from books for years, and I always had hoped to be able to use them for something. So when one of my colleagues handed out fortune cookies after lunch I thought, why not combine it with cake and offer it with individual quotes. No one else offers what we offer. However, there is a whole number of online stores that ship cakes, chocolates and other treats. My mom's lamb-shaped sponge cake. Focus Bike: Whether you use it as sporting device or practical means of transport: We show the best outfit for biking and talk to experts in the field. »Beauty Codes« – Beauty ideals in different countries and languages. With this issue we send you into spring and hope you'll have a nice Easter Holiday! However the next issue won't b too long. We will come back with our June issue with the topics of Sports, Languages and Mathematics (if nothing drmatically changes and our timetable has to be altered ;)) in the beginning of June. We are looking forward to your feedback and input on Twitter, Facebook, Pinterest and Co.
We visit our friend Emily Westbrooks in Dublin. The DIY blogger and author shows us around and we'll feature the most interesting places in her adopted home.